How does life insurance work? What is life insurance all about? What can it do for me? Most people ask these questions at some point in their lives. Let us look at the subject and see how these questions could be answered. Life insurance is a contract between you and a life insurance company. In return for a premium payment at certain intervals the life insurance agrees to pay a specific sum of money to your loved ones upon your death. This money can be paid out in one lump sum or in the form of an income. Don't Pay Too Much For Your Non Medical Life Insurance Policy - Get A Low Premium Rate From A Quality Carrier. Click Here and Save! Life insurance is intended to secure the family's income upon the death of a breadwinner. If sufficient coverage is on the life of the breadwinner life insurance policy can guarantee that the family can continue living in the same house, eating like they always did and wearing whatever clothes they choose to. Life insurance can guarantee that the family can maintain the standard of living they are accustomed to. My experience in the life insurance business has shown me how powerful a life insurance policy is, how the proper use of proceeds can help a family. 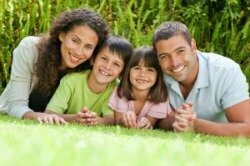 Life insurance is really a necessity especially if there are young children in that family. Life insurance is absolutely needed to provide for a surviving spouse, definitely for a spouse whose work is in the home. Life insurance also is used to guarantee a business continues after the death of a partner or shareholder. The proceeds where used for a business are intended to buy the shares of the deceased partner from his or her spouse. In such a case everybody is happy. The surviving spouse gets true value for the shares and the surviving partners or shareholders own the business. The price is predetermined through a buy sell agreement set up by an attorney. This agreement is binding. The life insurance premium is minimal compared to the amount payable when the insured dies. Guarantee Your Family's Financial Security - Qualify For Up To $1,000,000 Term Life Insurance No Medical Exam - Just A Few Health Questions.